The X39 links majestic Bristol with historic Bath. There are 5 buses per hour weekday daytimes, 4 per hour Saturday daytimes and route 39 runs via Keynsham every 30 mins Mon-Sat evenings and Sunday daytimes. They are operated by First. 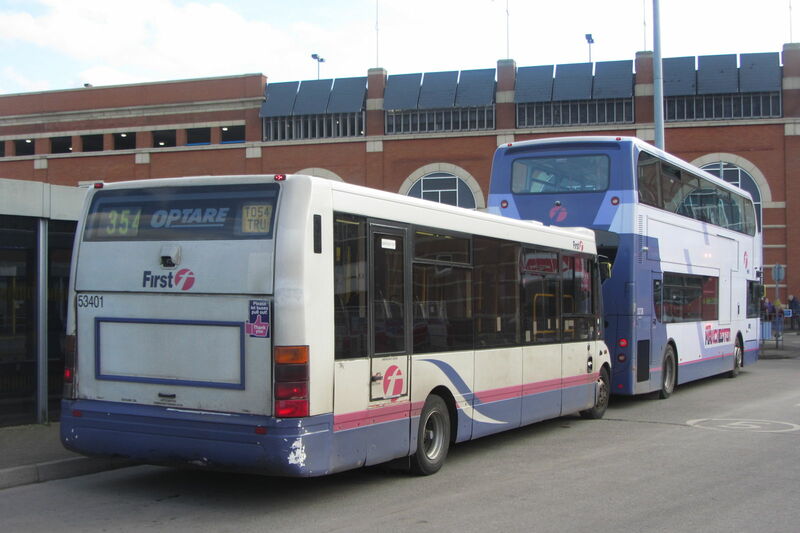 Click here to see other bus routes in the South West. The Globe itself has mixed reviews, so Saltford might be a safer bet if you're hungry. See the full timetable on First's website either here or as a leaflet here. It can also be found on Traveline. The cheapest day ticket that is valid throughout route X39 is the FirstDay Bristol Outer at £6. It is also valid on all First buses as far as Cribbs Causeway and Clevedon. If you need to travel beyond that ticket's zone, then the FirstDay South West at £7 is for you. If you also need to use the buses of other operators (not just First) and are travelling solely within the former county of Avon, then you can use an AvonRider ticket at £7.20, valid the full length of route X39. For shorter journeys, the multi-operator BristolRider and BathRider tickets (both £4.50) are valid on part of route X39. The zones are the same as for the FirstDay Bristol Inner and FirstDay Bath tickets described above. If you are travelling solely within the former county of Avon but also need to use the train, as well as the buses of other operators, then the Freedom Travel Pass is for you. The 1 day off-peak version for Bristol and Bath (covering the full X39 route) costs £11 and allows unlimited travel by bus and train within the appropriate zones, so you could catch the X39 one way and then return by train. If you're arriving in Bristol or Bath by train, the Bristol Plusbus is valid on the X39 as far as Ellsbridge House and the Bath Plusbus is valid as far as The Globe. Local rail map with the X39's route marked in yellow. First routes 37 and 38 run parallel to the X39, but also serve Keynsham. The 39 provides the evening service in place of the X39 and serves a tiny little bit of Keynsham. The other obvious alternative to the X39 is the train. Direct trains between Bristol Temple Meads and Bath Spa are operated by First Great Western. Look up train fares here.